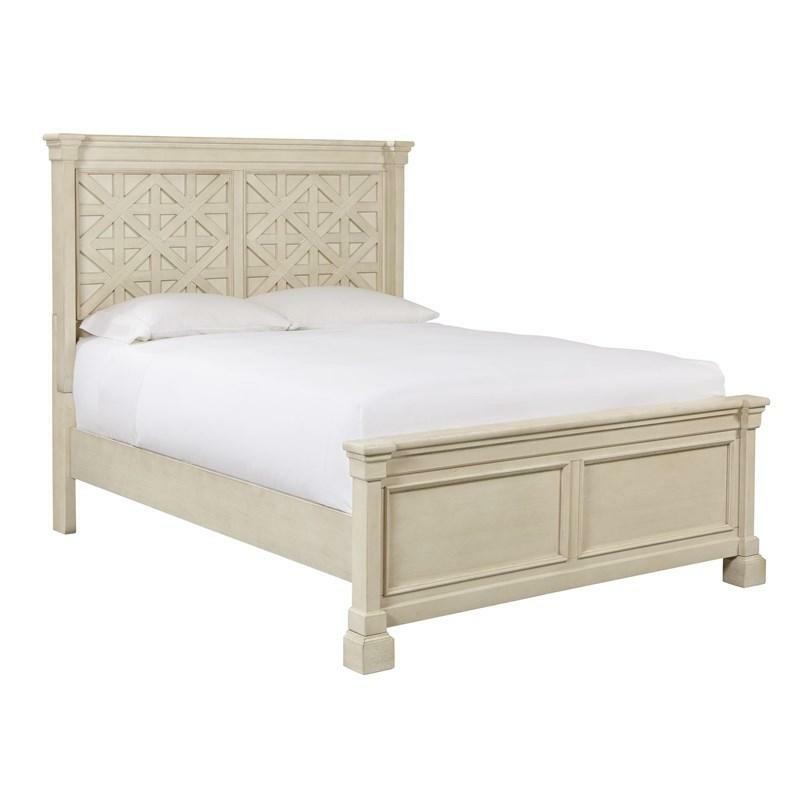 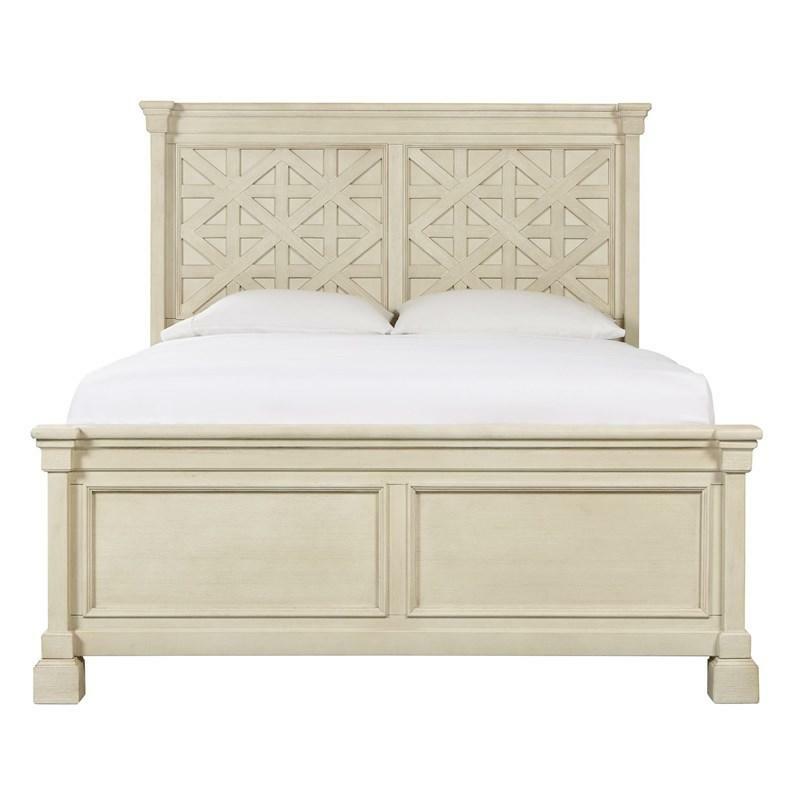 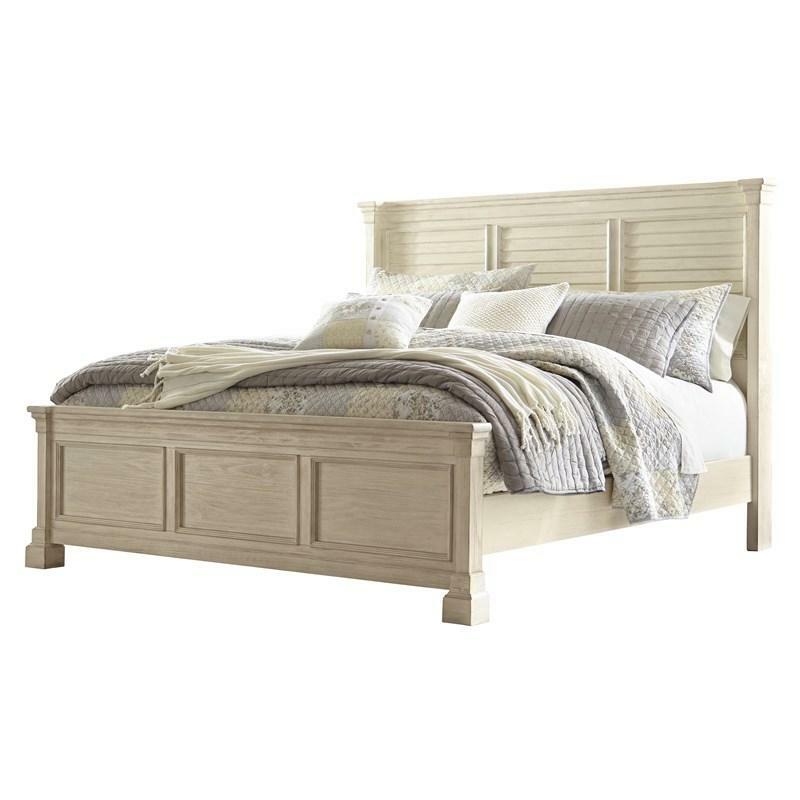 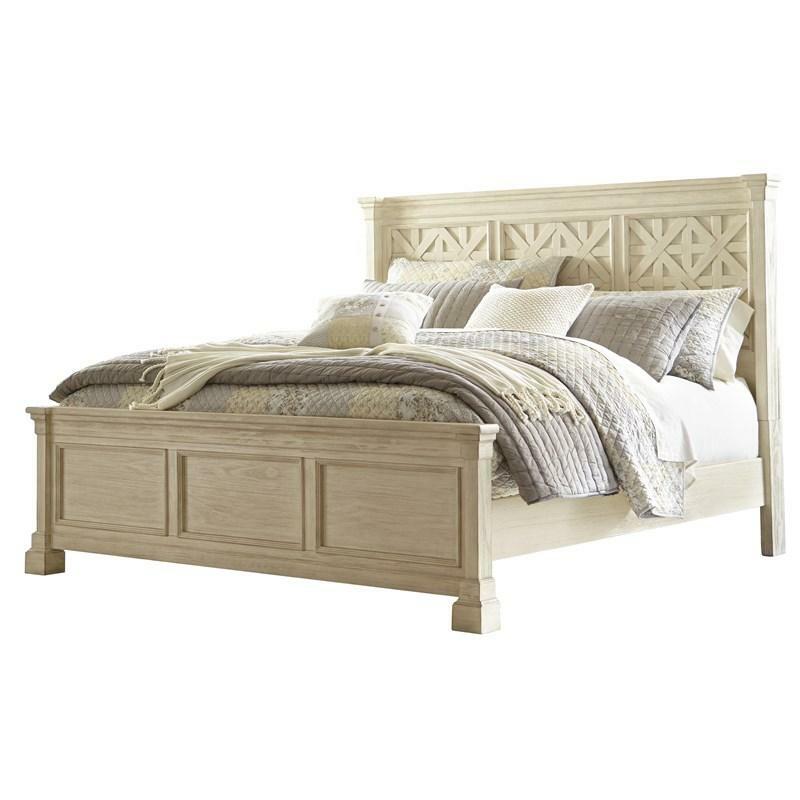 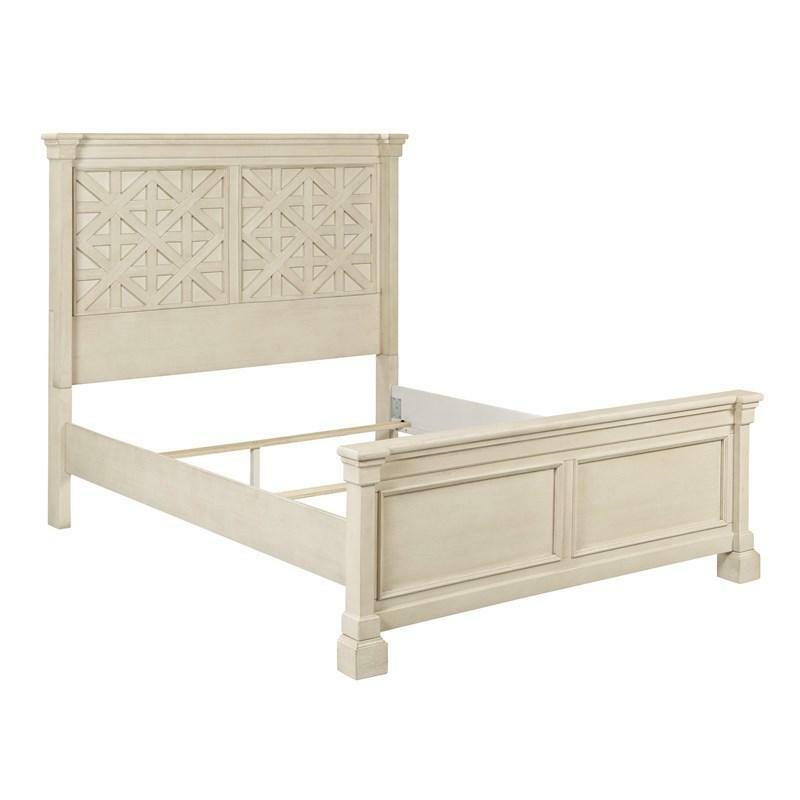 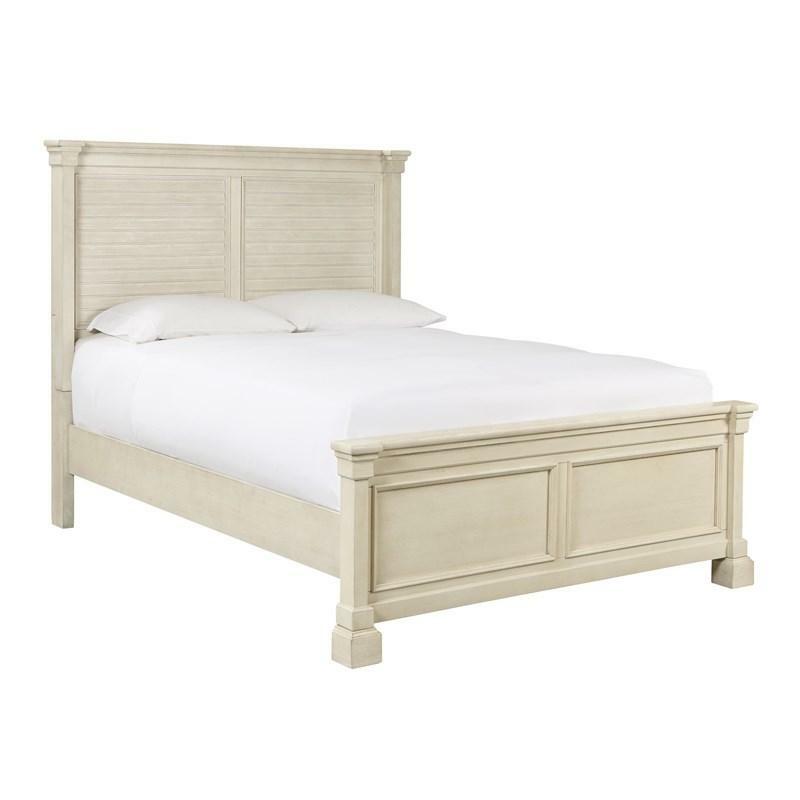 Accent a room with the Signature Design Bolanburg queen panel bed that exudes a mix of styles, including shabby chic, casual cottage and a touch of down home country. 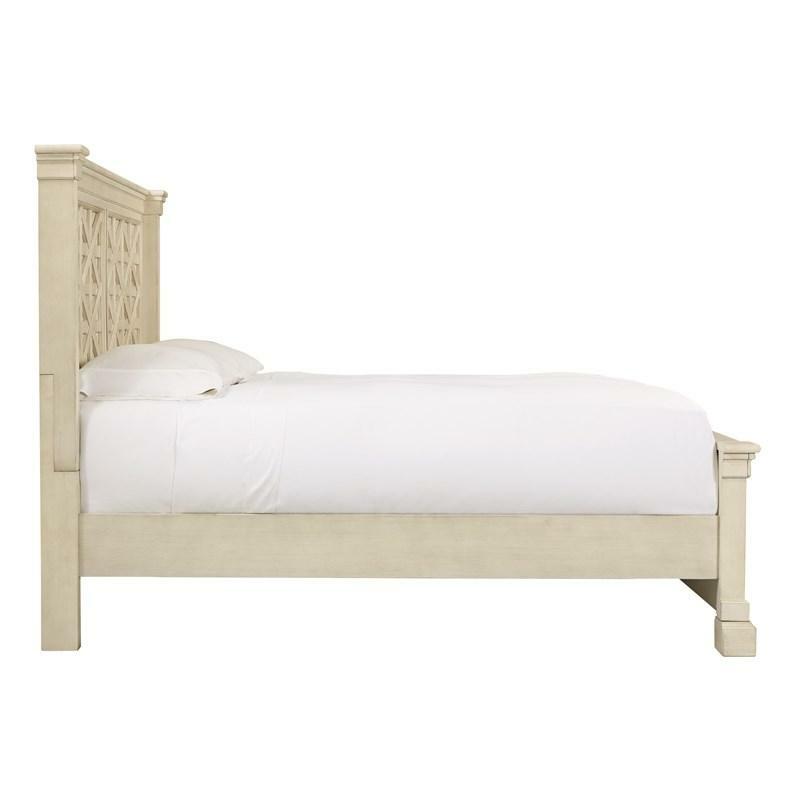 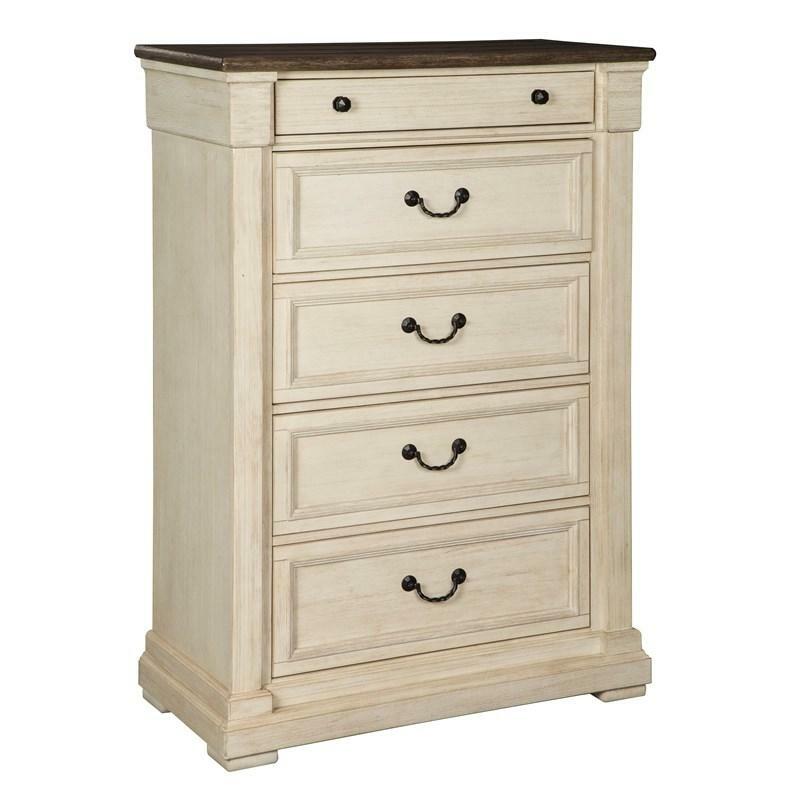 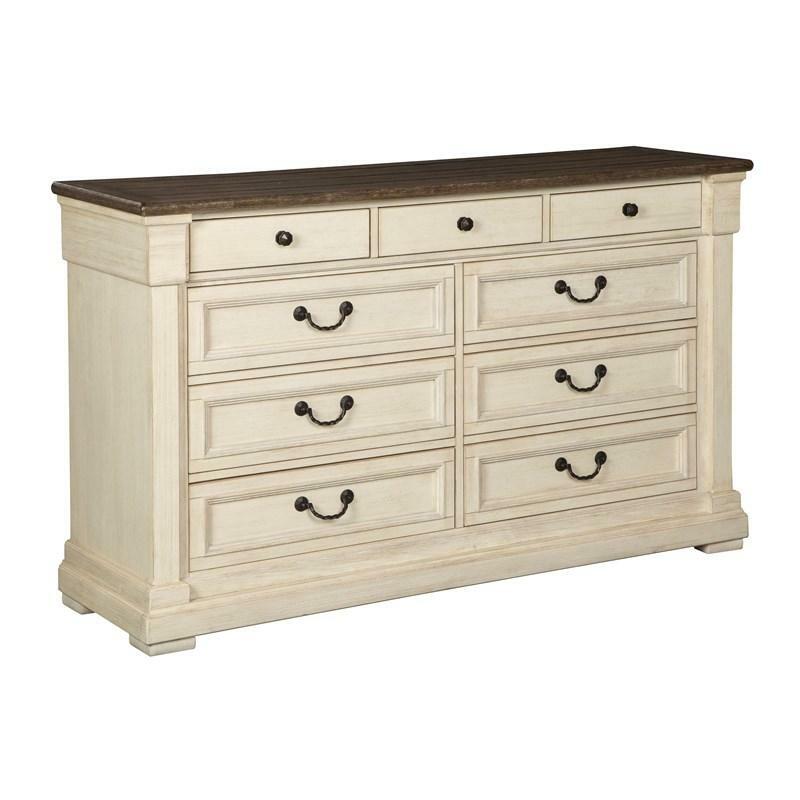 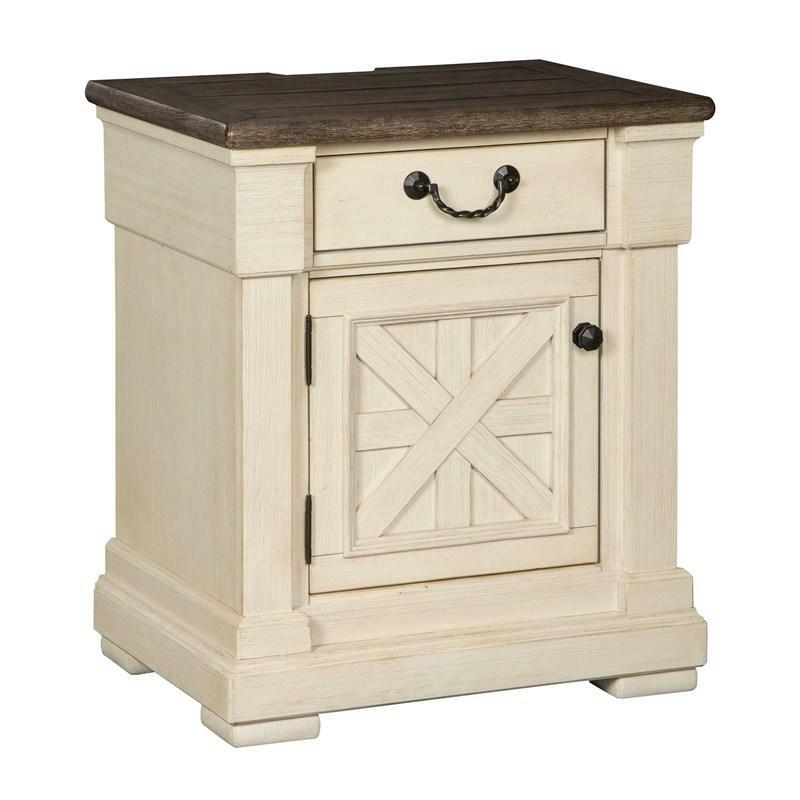 Its textured antique white finish works with straight line design for a vintage look that will endear for years. 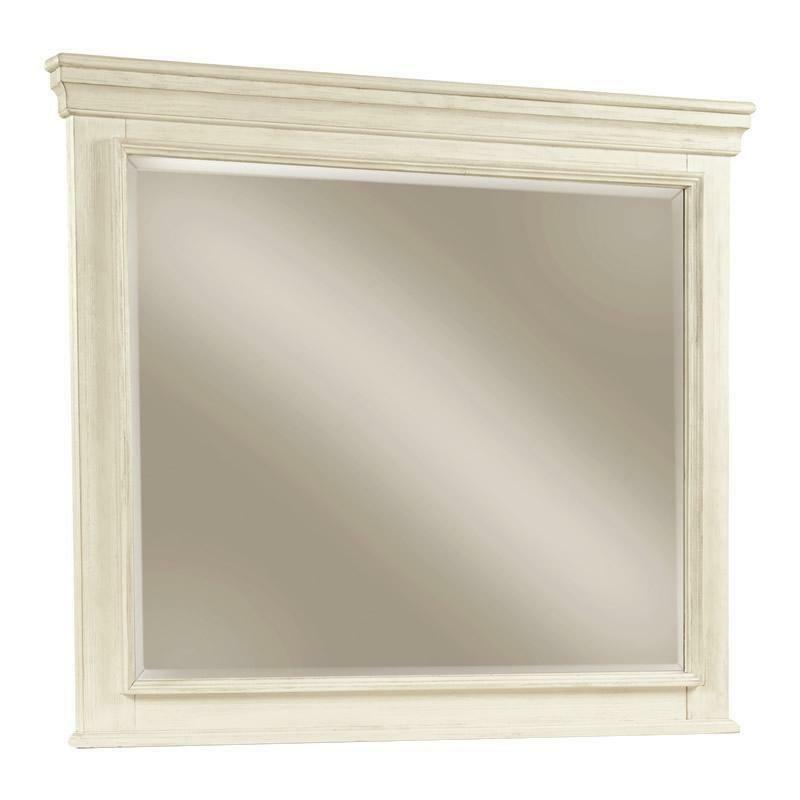 • Panel to floor 22.38"